If a picture is worth a thousand words, this rich and diverse collection, promises a lot of conversation. 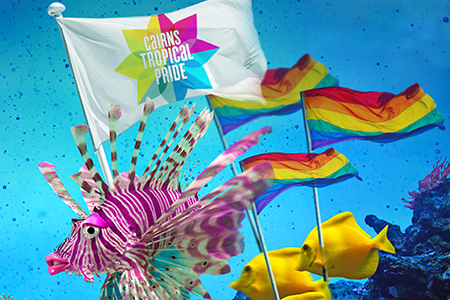 An eclectic intermingling of pieces from established and emerging LGBT+ artists based in Tropical North Queensland. Our artists capture the Tropical North Queensland environment, lifestyle and cultural conversations through work that is sometimes challenging, frequently stimulating and always a sumptuous feast for the eye. Join us for the fabulous and free launch party, Some Enchanted Evening, a Gala Wearable Art Ball. Bookings essential.